Traditional thinking about healthcare organizations being cold, unresponsive, and frustrating has been radically changed by the digital revolution. Social media has largely been the driving force behind these improvements and it has made the consumer healthcare experience much more personal, informative, and empowering than ever. With so many consumers flocking to social media in search of relevant information and responses, healthcare brands of every size and specialty have added social media to their healthcare marketing efforts. According to research from True North Custom, social media is now the most used channel for content distribution by healthcare brands, with 53% of brands posting at least once a day. Moreover, 75% of healthcare brands say they use social media advertising to engage audiences and distribute content. 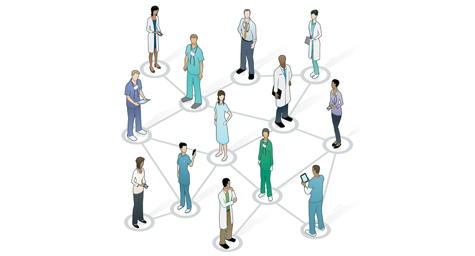 Of course, not every healthcare firm is on social media, and not every firm that is on social media is succeeding. Many organizations are still struggling to figure out exactly how to dive into, and make the most of, social media marketing. Set Up and Maintain a Social Presence – Show consumers that you want them to connect by establishing accounts on the major social media sites and then maintaining an active presence. This free effort can provide major payoffs. As for which platforms you should start with, the True North survey found the most popular with healthcare brands are Facebook (94% use), Twitter (72%), YouTube (65%), and LinkedIn (42%). Create an Engaging Experience – Consumers want their voices to be heard, so use these social media channels to respond and engage with them. This gives patients a real sense of satisfaction, which helps builds trust and long-term loyalty toward the brand. It also prevents any possible PR problems by allowing organizations to privately deal with consumer complaints before they become full-blown issues. Focus on Service Instead of Selling – Using social media for sales pitches will turn consumers off and away, so make the social experience about serving their needs. This will show consumers that you care about their personal health and happiness, which will go a long way toward establishing relationships, creating brand preference and building loyalty. Use Social to Grow Your Brand and Business – Brands of every size can benefit from social media. In fact, many smaller companies and individual practitioners find that it can level the playing field against their larger competitors by increasing their connections with consumers and ultimately boosting their business. Keep Up with Current Healthcare Happenings – It takes time to stay up on what’s going on in the industry, but social media offers the solution by providing instant access to the latest industry news. Be sure to sign up for social updates from healthcare news sources, as well as registering with resources on improving social communication. 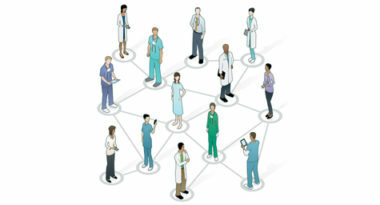 Social media marketing has clearly redefined the healthcare industry and continues to increase its influence every day. It offers outstanding healthcare marketing opportunities for brands and businesses to develop the personal connections with consumers that result in professional and financial rewards. To discover how social media can help to improve your healthcare marketing results, contact MDG Advertising today at 561-338-7797 or visit mdgadvertising.com. At MDG Advertising, our 360° marketing approach uses just the right mix of traditional and online media to reach your healthcare marketing goals. While some industries may fare better in print and others online, we strive to create a balanced approach where digital and traditional marketing efforts support each other and your marketing message is tailored to the medium. To stay on top of the latest social media trends in healthcare marketing, contact MDG Advertising today at 561-338-7797 or visit mdgadvertising.com.